Hebrews 6:4-6 - For it is impossible to restore again to repentance those who have once been enlightened, who have tasted the heavenly gift, and have shared in the Holy Spirit, and have tasted the goodness of the Word of God and the powers of the age to come, if they then fall away, since they are crucifying once again the Son of God to their own harm and holding Him up to contempt. Isaiah 55:6 - Seek the Lord while He may be found, call upon Him while He is near. Read Nahum 3:5-7. Why does God make the judgment so shameful? Why did God mention what happened to Thebes (No amon, Nahum 3:8-11)? When was the last time you have warned someone about God's judgment? Why are we so reluctant to do so? What was your big "take-away" from this passage / message? What was your big "takeaway" from the series? Matthew 8:12 - thrown into the outer darkness. In that place there will be weeping and gnashing of teeth. Matthew 10:28 - And do not fear those who kill the body but cannot kill the soul. Rather fear him who can destroy both soul and body in hell. Matthew 11:24 - But I tell you that it will be more tolerable on the day of judgment for the land of Sodom than for you. Matthew 25:46 - these will go away into eternal punishment, but the righteous into eternal life. Hell is a Place of Torment of Varying Degrees that Lasts Forever which we all Deserve but God DOES NOT want us going there. Based on cartoons, jokes, and old myths - what are some unbiblical ideas about hell that you have seen / heard? Why are more and more people, even in the "evangelical church", denying the doctrine of hell, despite what the Bible says? Paraphrase Nahum 2 in a sentence or two. Why would such a prophecy about Nineveh be preserved for US in God's Word? Why does God want us to know this? What was your big "take-away" from this message / passage? Acts 20:27 - or I did not shrink from declaring to you the whole counsel of God. Deuteronomy 4:24 – For the LORD your God is a consuming fire, a jealous God. God has a holy concern for what He Loves, and God is Jealous for you. God's judgment is Fueled by His jealousy. 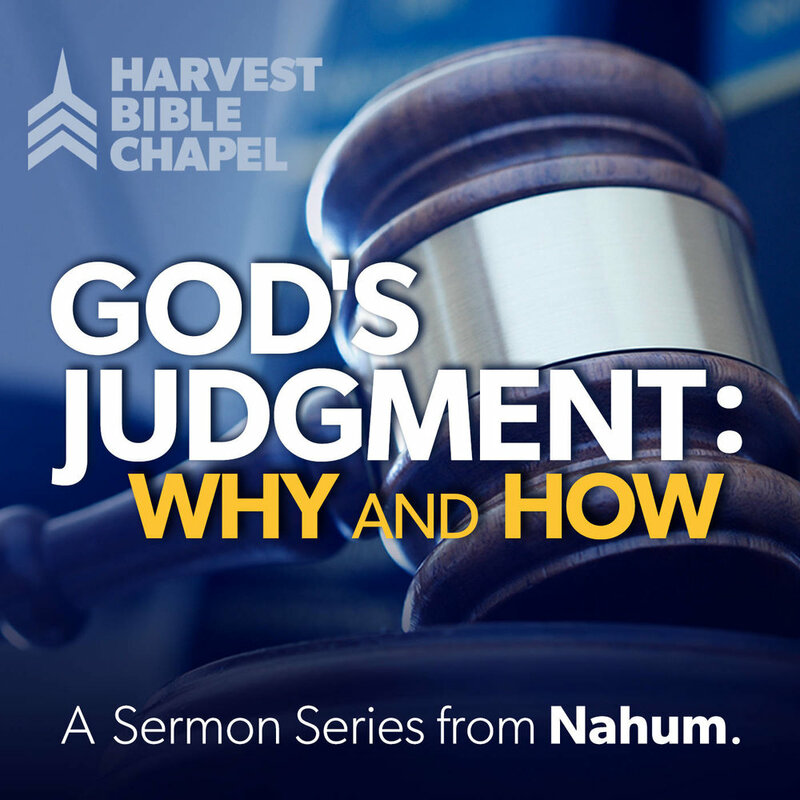 Explain why God is jealous (Nahum 1:2). Why does that fuel His judgment? How is jealousy and judgment tied into God's love? How should a Christian respond to the Bible’s teaching on God’s judgment? Respond to this statement: "Isn’t it arrogant for God to demand to receive glory for Himself?”. What was your big “take-away” from this passage / sermon?